I’ve been enjoying posting stuff to A London Salmagundi, and I find the convention of posting pictures without commentary rather liberating, because I am a relentless tweaker of my own prose and constitutionally incapable of being brief. But sometimes I find myself wanting to explain why I think a particular image is so interesting or beautiful. So this is the first of what may be a series: ‘things I posted to Tumblr’. These bodhisattvas are from the part of the world that US foreign policy types refer to as ‘AfPak’; the top one, the older of the two, is from Hadda, now on the Afghan side of the border; the other is from Peshawar in Pakistan. 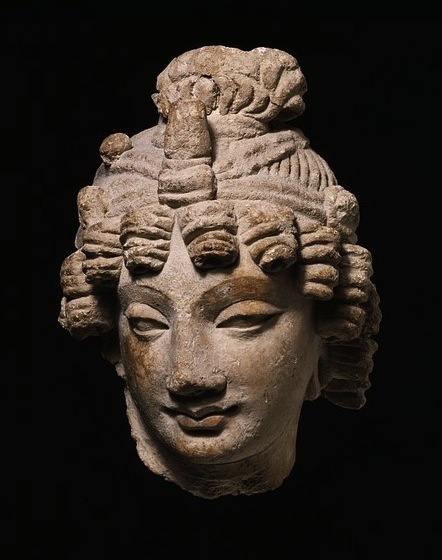 But when these were made, and for over a millennium, it was the location of the Gandhara kingdom. I only know that because I just looked it up on Wikipedia. But what I did already know was that these are in a tradition called ‘Greco-Buddhist’. This is art from a place where two worlds meet. Alexander the Great conquered the area from the Persians in the 4th century BC; hundreds of years later, the Hellenistic influence was still powerful enough to result in works like these. That top one, from 1st-3rd century AD, is particularly extraordinary and particularly beautiful, I think. The style is recognisably Greek; the hair, the sculpting of the features. But the face looks Indian, and he has the long ears of the bodhisattva. The other, slighter later (3rd-5th century) is less remarkable, less strikingly classical; more what one expects a bodhisattva to look like. But it’s still a lovely thing. 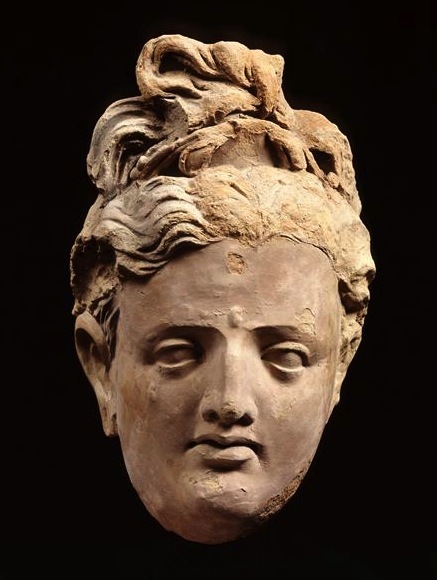 Just the existence of Greco-Buddhist art was amazing to me, because Alexander the Great and Buddhism lived in completely different parts of my brain. It’s like reading one of those counter-factual novels — what would modern Britain have been like if the Nazis had won the war? — except, you know, it’s actually real. There really was somewhere where Buddhist monasteries were decorated in the style of ancient Greek temples. The fact that the resulting art is beautiful just makes it even better. » The Hadda bodhisattva at the Musée Guimet; the Peshawar bodhisattva at the V&A.